The tetrahedral geometry is a type of atomic arrangement resulting from sp3-hybridized orbitals, all of which are bonding. In this case, the four bonds formed by the central atom are separated from each other by 109.5°. It is a descriptor of the geometry of a molecule where the central atom makes four bonds that are directed to the corners of a regular tetrahedron. Note – the geometry of a molecule refers to the atomic arrangement and not the arrangement of electron pairs. Therefore, for molecules like water and ammonia, although sp3 hybridized, the electron pair arrangement is in the shape of a tetrahedron but the geometry is trigonal planar and bent respectively. 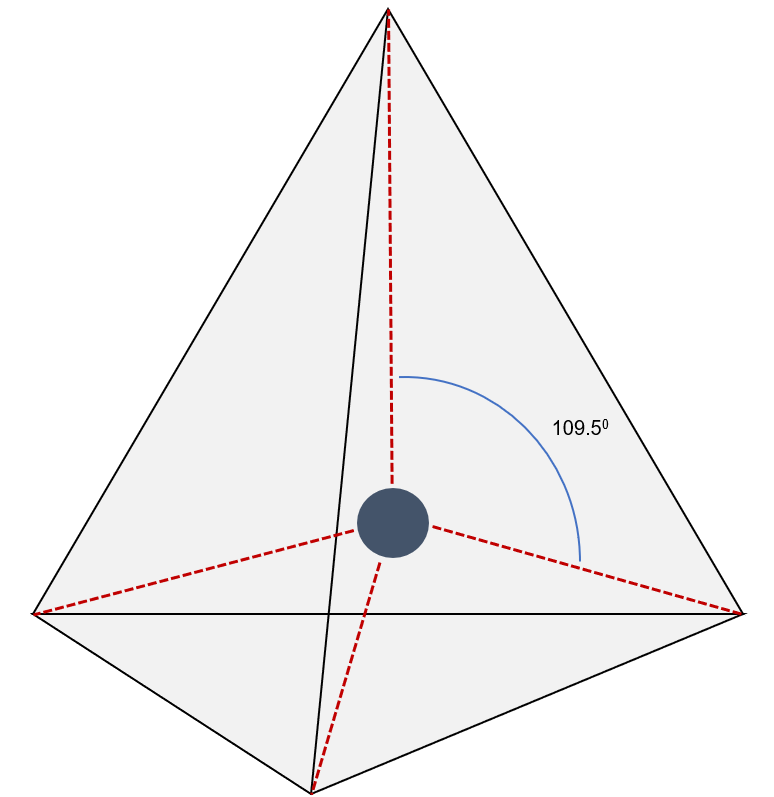 Example – The drawing below shows the basic tetrahedral geometry. Molecules of the form AX4 exhibit this geometry. Other examples include CH4, CF4 etc.